“You mean you bought plane tickets to come here just to share your faith with people like me? This I have to hear about!” So began a conversation about Christ that Adam Steen and Andrew Solarek had with a member of the university team they had played. The conversation was one of several that evening that lasted a few hours. “Man, that was fantastic!” said the guys. The Maranatha men’s soccer team had several similar opportunities to share their faith. During the same week, they held a soccer clinic for children and teens. More than 50 participants came. 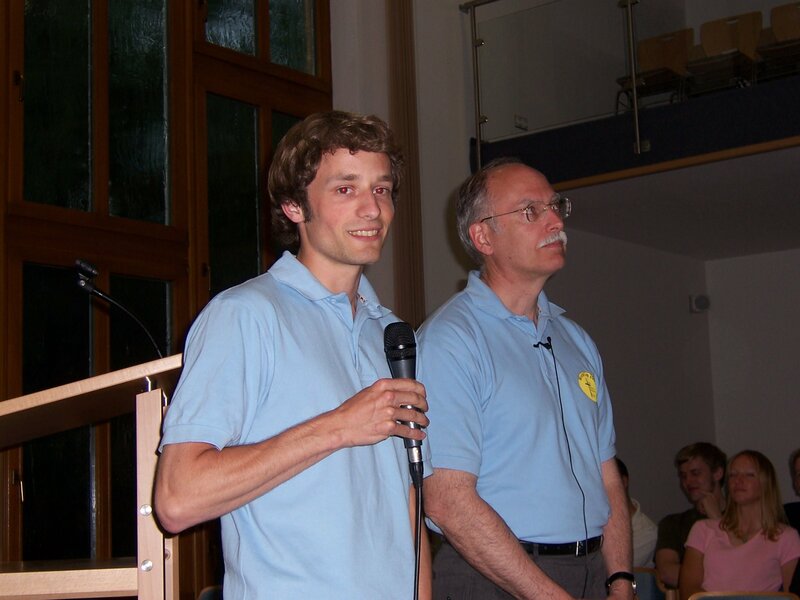 Through both the clinics and the games, six people attended the Independent Baptist Church in Ingolstadt for the first time. 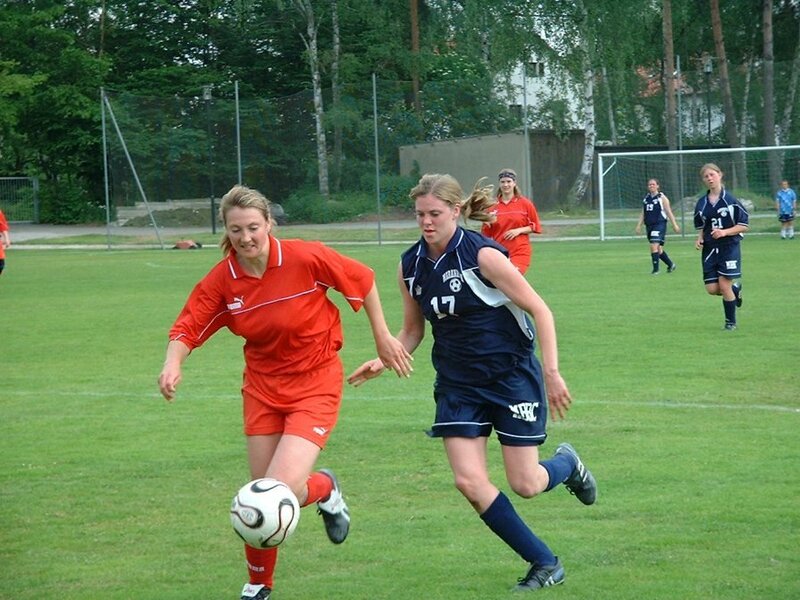 In Bad Heilbrunn, the Pillsbury soccer team distributed 13,000 tracts and played two soccer matches, after which they shared their faith with players on the opposing team. They also held two book tables during World Cup matches in Munich. During those two days, they were personally able to present the Gospel to many. 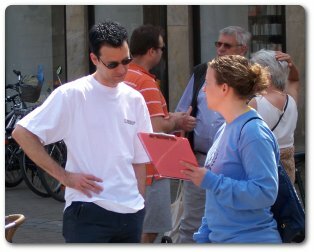 In the past nine days, the Maranatha women’s team, together with members of the Independent Church of Erlangen, interviewed 400 people, finding out what they believed about Christ. They personally shared the Gospel with more than 120 and passed out thousands of tracts. 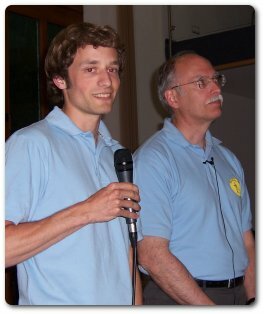 Lasting contacts were made both with team members and with the church. 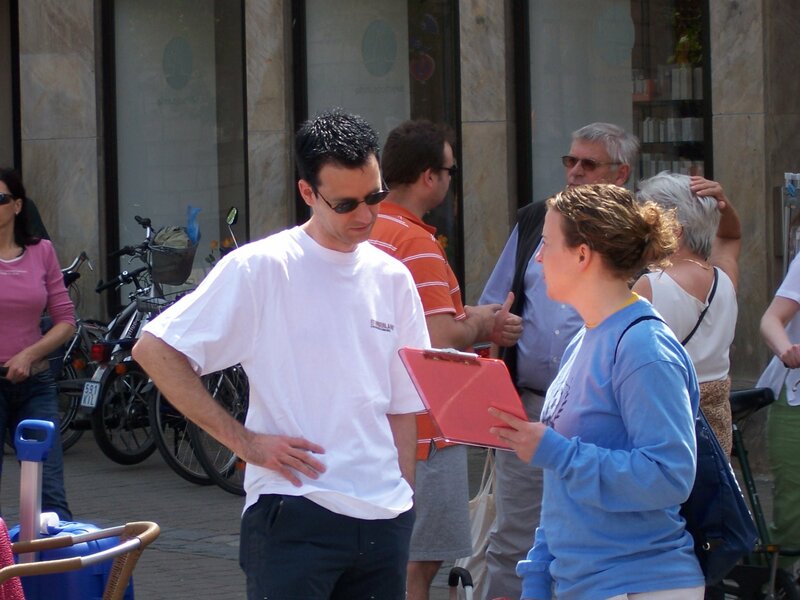 Lisa: “It was amazing to see how open people were and how easy it was to share the Gospel.” Even in Fussball-festive downtown Nuremburg, we were able to share the Gospel with many people before the game. At this point, there have been no reported professions of faith in Christ from our efforts. But as much seed has been sown in two weeks as the churches normally sows in six months to a year. The people of our churches were likewise motivated to be bold with the Gospel in a way they have not been previously.